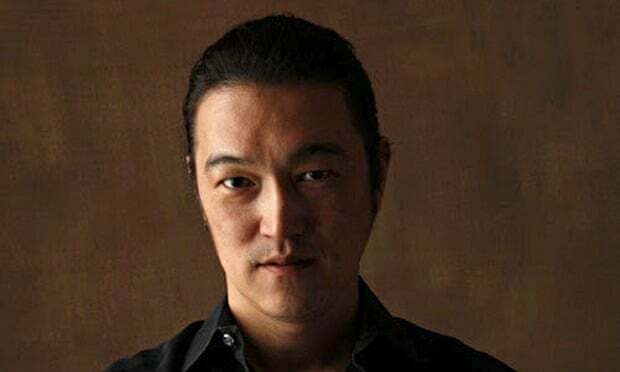 If you don’t know who Kenji Goto is, learn. Kenji Goto is a name that 30 days ago I was not familiar with. However, as recent world events have progressed, the story of Kenji has grabbed my attention, and many others throughout the world. It was this extreme dedication and bravery that led Kenji to a very dangerous place, where he remained under the control of the Islamic State (ISIS) who beheaded him yesterday. This image that caught my attention emerged recently after Goto was taken into captivity with Haruna Yukawa, another Japanese man who he met in Syria, an aspiring security consultant. He struggled to make sense of his troubled life, and Goto was there to guide him. An experienced war-zone reporter, Goto taught Yukawa how to handle war zones. Though they had little in common, Goto didn’t hesitate to fight for Yukawa after his capture. Eventually, he was captured too. Then, ISIS purportedly beheaded Yukawa, meanwhile kidnapping a Jordanian Pilot who’s fate remains unknown. As we get ready to continue our weekend and watch the Superbowl, many of us will be going out for dinner or drinks, socializing, or just spending a relaxing evening in. I couldn’t help thinking this morning about Kenji, and how he aspired to tell the stories of ordinary people effected by war. And how his life, like many others before him, was tragically taken far too soon. While at one time, Kenji’s release seemed possible, those hopes were shattered. There is nothing we can do to change what has happened. My only hope is that he won’t be remembered for such a brutal murder, but for the hero he was.